The seeds of 4Culture’s Arts Project Grant award are starting to take fruit. 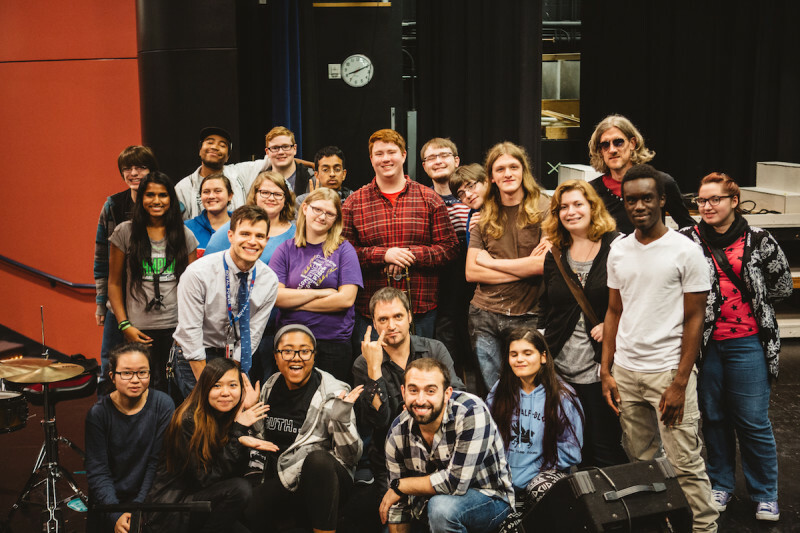 Two weeks ago I visited Kentridge and Kent Meridian High Schools along with Skerik, Tim Kennedy, and Evan Flory-Barnes for a workshop on artistry and emotion. We had an incredible conversation about what we all do and why, and brought a few brave volunteers up to make some music with us. We’ll be doing more and more of workshops in the future, so keep an eye out for how you can help make these happen. I’ve also spent the last few weeks polishing the audio from Happy’s video recording and just released a few full-length tracks for streaming on Soundcloud. Check em out below and let me know what you think!